As U.S. officials decide against banning product, producer Uralasbest puts Trump “seal of approval” on pallets. This story was produced and originally published by the Guardian and is reproduced here as part of the Climate Desk collaboration. 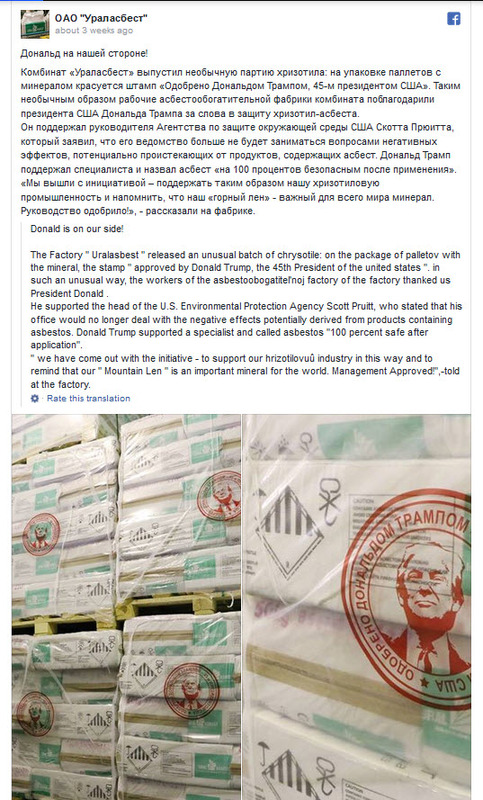 Donald Trump’s environmental policies may have caused controversy in the U.S. but the president’s stance has managed to get him a literal stamp of approval from a Russian mining company. 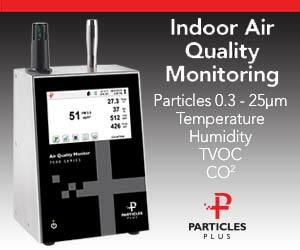 The move follows the U.S. Environmental Protection Agency’s recent decision not to ban new asbestos products outright. The EPA said it would evaluate new uses of asbestos but environmental groups have criticized the agency for not going further by barring them on public health grounds. Uralasbest, which is located in the mining city of Asbest in the Ural Mountains, is reported to have close ties to Russian president Vladimir Putin, who Trump will meet for talks in Helsinki next week. Asbest was once known as the “dying city” due to its high rate of lung cancer and other asbestos-related health problems. 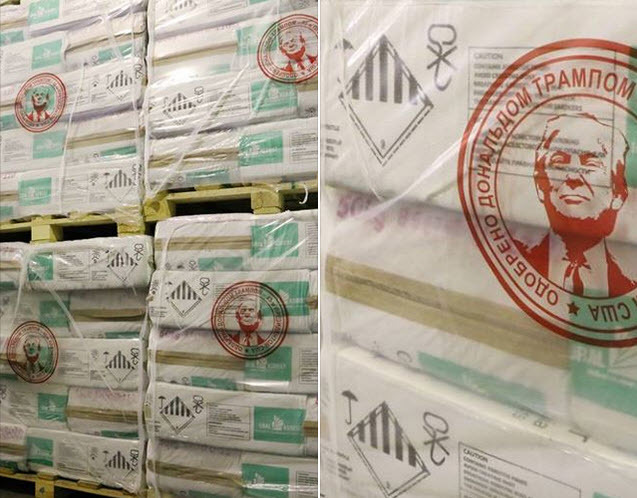 “Vladimir Putin and Russia’s asbestos industry stand to prosper mightily as a result of the Trump administration’s failure to ban asbestos in the U.S.,” said Ken Cook, president of the Environmental Working Group. Asbestos was once widely used in the US for insulation and roofing but is now classed by the federal government as a “known carcinogen” due to evidence that, when disturbed, asbestos fibers can become lodged in the lungs and cause mesothelioma, as well as cancers of the lung, larynx and ovary. According to the Centers for Disease Control and Prevention, around 2,500 Americans die from mesothelioma every year. In 2012, the future president tweeted that the World Trade Center “would never have burned down” after the September 11 attacks if asbestos hadn’t been removed from the building. This action states that the EPA will evaluate new uses of asbestos using the “best available science” but does not ban the materials. The range of asbestos uses examined by the EPA has been criticized as being too narrow, as it won’t cover, for example, the millions of pounds of asbestos dumped in landfills or used to coat piping in buildings. “By allowing asbestos to remain legal, the Trump administration would be responsible for a flood of asbestos imports from Russia and other countries into the US, as well as the wave of illnesses and deaths that will continue for years to come,” said Linda Reinstein, co-founder and president of the Asbestos Disease Awareness Organization. Last year, Brazil, which was responsible for the bulk of asbestos exports to the US, joined about 60 other countries in banning the product, leaving Russia as the major source of asbestos sent to America.